I have a festive habit of skipping right to Christmas come November in my home. But as a teacher, I can’t quite do that. The kiddos are demanding turkey fun and I don’t mind obliging. I like reading seasonal books to my Sweet V at home as well. 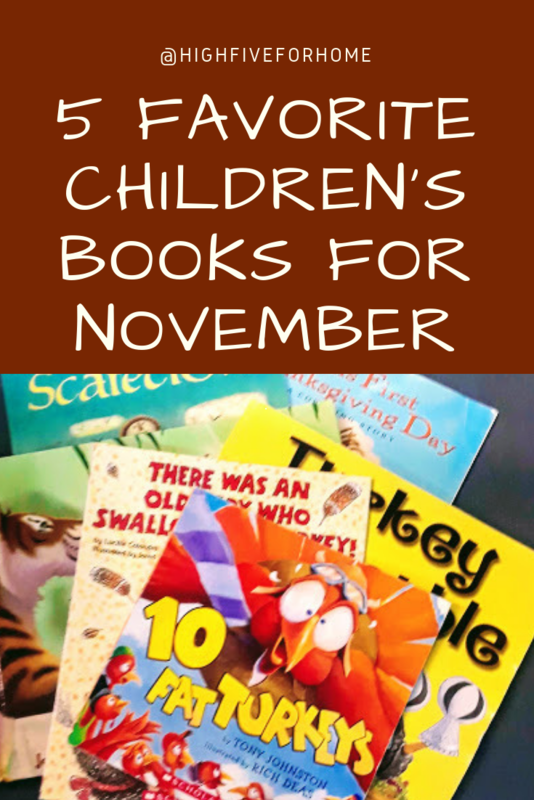 So here are my top 5 favorite picture books for November. This book is fun for many ages. 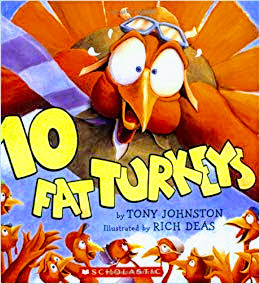 It has a repetition in its plot as the turkey disguises itself as the different farm animals to hide from becoming dinner! The ending is funny and the kiddos always get a good laugh and want me to read it over and over. This one is geared for lower elementary. The pattern is great for building vocab and sequencing. 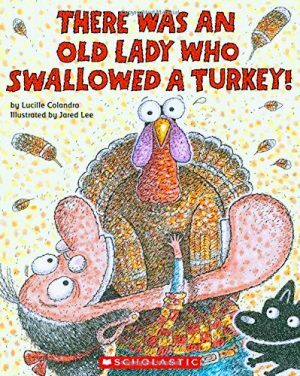 Lucille Colandro has an Old Lady tale for every holiday and season and they never disappoint. 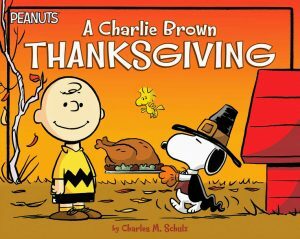 Because seriously…who doesn’t LOVE Charlie Brown. 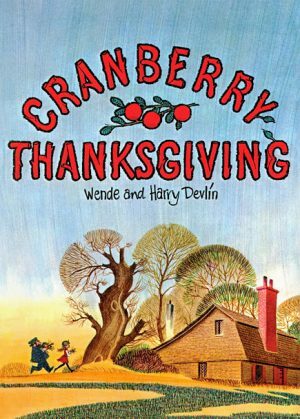 I like to read this one and talk about Thanksgiving history just a tad with my littles at school and my own little at home. Then we watch the movie. I bought the Charlie Brown holiday set a few years back because I don’t have cable and feel that Charlie Brown is a holiday tradition. I have had this book in my classroom for years. I love the message about thinking of others. It’s hard for young minds to fully grasp so the more we can bring this to life for them, the better they will become at doing it themselves. This one is just a fun counting story to read and rhyme along! This is a chapter book with limited pictures, but I love reading it. It gives such an accurate depiction of life in the 1600’s and children today can easily compare their lives and understand how hard children worked long ago. 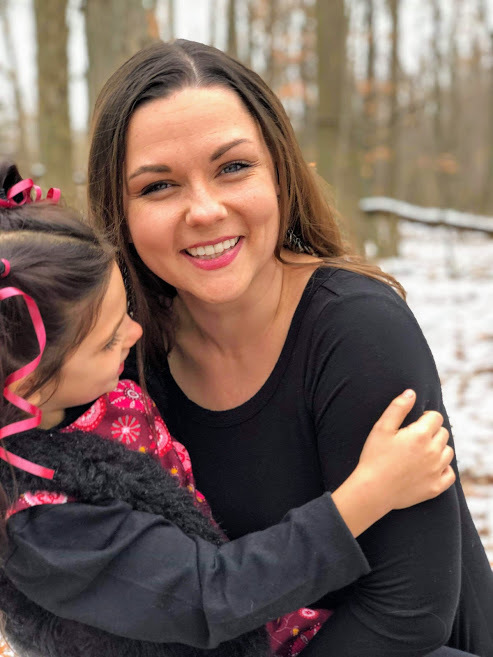 And this post wouldn’t be complete without my reading specialist plug about how important reading to your children is to every part of their development. You are teaching them to focus, building grammar and vocabulary, teaching syntax, sequencing, intonation and fluency. Not to mention, it is always nice to snuggle close to your kiddos and spend a moment each day that is disconnected from tech and connected to each other. What are your favorite books for November? Let us know in the comments. 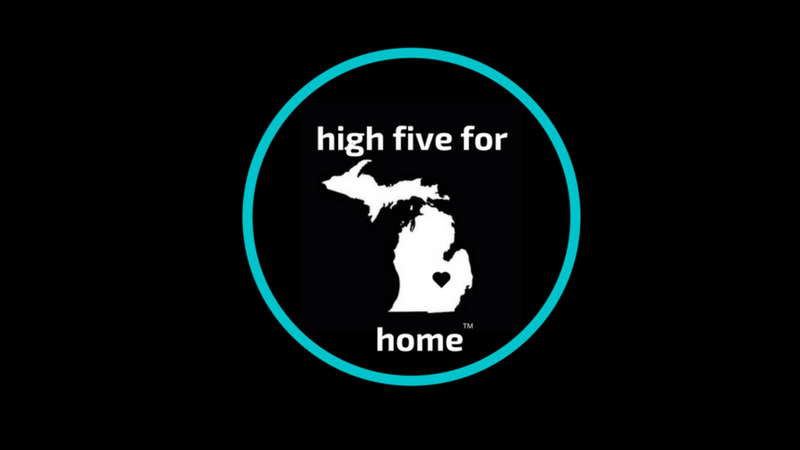 Keep reading and making your house a love filled home. I’m an adult who loves reading books meant for children. This lot looks so enticing. 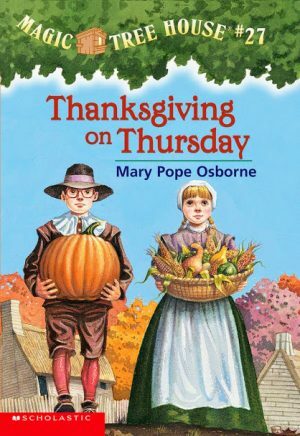 The premise of “Thanksgiving On Thursday” sounds so magical. I, for one, would love to know more about children of 1400’s era. 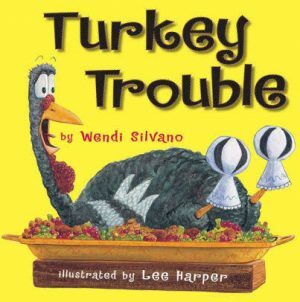 I suddenly feel for the turkey on Turkey Trouble (lol). These are good titles and seem like a lot of fun. It’s such a cute book with a surprise ending! Thanks for stopping by! I love a good picture book.